One of the mainstays of communal Amana was the 2 woolen mills, one in Amana and the other in Middle Amana. These mills were a vital part of the financial success of the Amana Colonies and had their roots as far back as Germany. Back in the 1800s when our ancestors were still in Germany 4 members of the community formed a woolen mill at Armenburg, near Frankfurt, Germany. The mill was formed in part to provide jobs for the inspirationist who had moved into the area after leaving their home due to religious persecution. The Armenburg mill and another built at nearby Herrnhaag would play a crucial role in financing the move of the community to America. When the decision was made to make the journey to America it was also decided to establish a communal lifestyle so that all that want to be a part of the community could survive. In 1844 equipment from that woolen mill in Armenburg was disassembled and shipped overseas to the recently formed settlement in New York state near Buffalo. The community then built a new woolen mill in what became the Ebenezer Society and reassembled the equipment. The woolen mill proved to be a wise investment as it along with agricultural provided the mainstay of money to keep the community going in the coming years. When the community moved west to Iowa a priority was the building of the Amana Woolen Mill in 1860 and in 1867 work began on the construction of the mill race, a canal that would provide hydropower to operate the mill. The mill race runs from the Iowa River near West Amana through the center of the Colonies, approximately 7 miles to Amana. Due to the demand for more woolen products a second mill was built in Middle Amana on the edge of the mill race. Over the years changing market conditions eventually required the closing of the Middle Amana Woolen Mill. 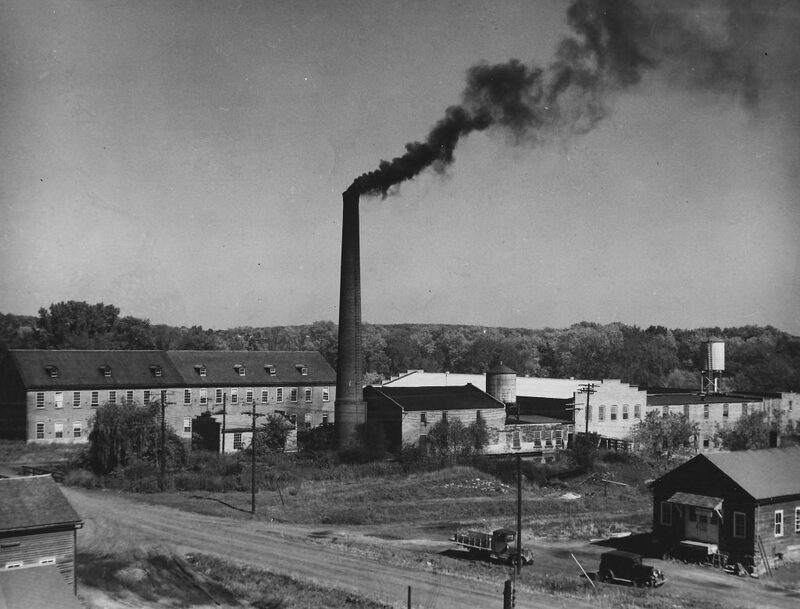 The buildings later became useful as the home of the Amana Refrigeration, founded in 1936, which has since been purchased by Whirlpool Inc. Today the only recognizable part of the original Middle Amana Woolen Mill is the tall smoke stack, the remaining buildings have been swallowed up by the appliance manufacturer. 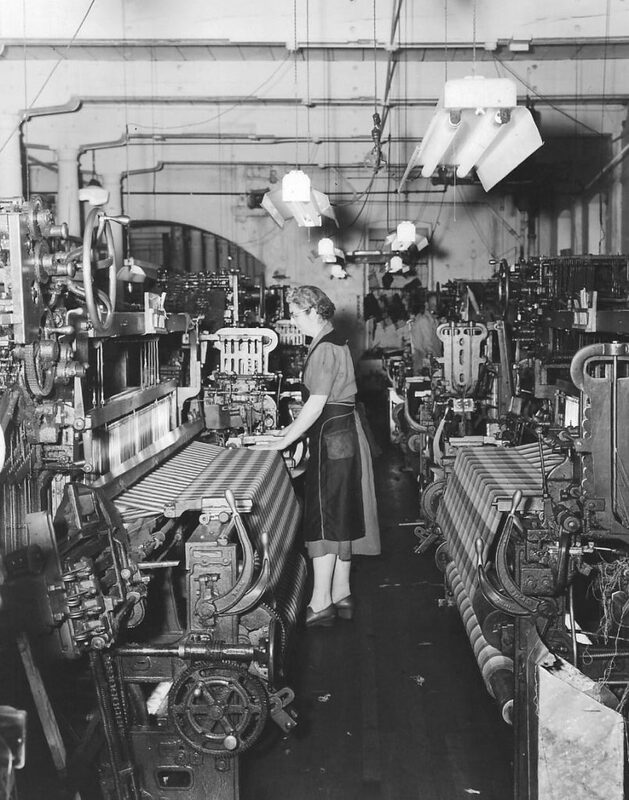 Amana Woolen Mill still operates today producing high-quality blankets and throws. You can stop by the mill and view a video on the process of weaving and on selected days you can see the process in person.